How do I get an estimate, can you give me a quick price? For a rough quote you can call 214 477 6809. In order to provide you with an exact price call us to request an on-site estimate. We will schedule a convenient time for you so we can stop by to complete the estimate. Do you service on weekends? Yes, we are available to service your home seven days a week. How do you clean gutters? Every gutter cleaning job is done by hand, and includes: Debris removal, gutter and downspout flushing. We are expecting to be paid: cash, check. WE DO NOT ACCEPT CREDIT CARDS. All payment for services are "Due on Receipt", meaning we expect to paid at the completion of our service due to an increased amount of fraud, late payments or no payment at all. We no longer bill our clients. If I have any questions or concerns, how much time do I have to call after the completion of job? If you complaints with our service after the completion of a job we like to hear from you within 72 hours after job completion. How often should I have my home windows cleaned? Your windows should be cleaned at a minimum 2 times per year. Most of our customers schedule 1 cleaning, then once they see the sparkling time saving results, they schedule for a 2nd cleaning. (2) Yearly window cleanings are spread 6 months apart. But it really depends on the area you live in. Where do you get your water? We get our water from your house. In most cases that's 1 bucket per level of your home. 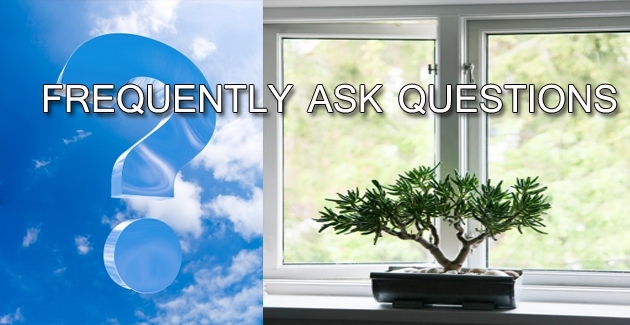 What does sealing do for my windows? SCREEN CLEANER and SEALER is specially developed for cleaning and sealing vinyl, fiberglass and aluminum window and door screens. SCREEN CLEANER and SEALER is safe and effective for vinyl, fiberglass and aluminum mesh, framing and mullions. Regular use will protect aluminum screens and frames to help prevent corrosion. Special emollients will seal and restore natural resistance to vinyl and fiberglass screens and frames. SCREEN CLEANER and SEALER may be applied to brand new screens prior to installation. Or to old screens which will enhance the appearance and durability of the existing soiled screens and frames. Regular treatment will protect the fabric and frame against bird droppings, acid rain, general pollutants in the atmosphere, to include color fading caused by UV rays from the sun. SCREEN CLEANER and SEALER provides home and building owners with a like new appearance while reducing window screen maintenance. How do I count windows? Each window counts as one window, no matter how big or small (refer to price list pictures). Yes, both our company and all of our technicians are fully insured. What do you use to wash the windows? Our technicians use a combination of joy soap and water to wash the windows. It is environmentally safe, non abrasive and it does not leave streaks. Do I have to be home for outside only window washing or gutter cleaning? No, we will do the work for you and leave a bill in the mailbox for the full amount. Payment is expected within seven days of completed service. What if it rains on my scheduled cleaning day? On days when the weather is in question, the customer may contact us. We closely monitor the current weather conditions. What about the mess? Will my carpet and walls get dirty? Our industrial foam window cleaner leaves no mess. We use drop cloths and, of course, our employees remove their shoes at your front door. Can I trust the workers? We are fully insured and bonded. We go to great lengths to hire only responsible individuals. We pride ourselves in our staff and their experience. What do I need to do before your arrival? We have our own supplies and equipment. All we ask is that there is a clear path to the windows. Remove any antiques, heirlooms, breakables, etc. from furniture that may be in front of the window, or on the window sill.